Air Force Brig. Gen. Andrea D. Tullos has been nominated for appointment to the rank of major general. Tullos is currently serving as the director of security forces, Deputy Chief of Staff for Logistics, Engineering, and Force Protection, Headquarters U.S. Air Force, Arlington, Virginia. Her next assignment is Commander 2nd Air Force, Keesler AFB, MS. If you have never attended an AFSFA National Meeting this year’s in San Antonio would be a great place to start! The 33rdth annual AFSFA National Meeting is shaping up to be one to remember. So let me see if I can entice you to join us this September with a general outline. Air Force's Newest Security Forces Colonels!!! Congratulations to the following individuals who have been selected for promotion to the rank of Colonel. Well done Defenders!! U.S. Rep. Don Bacon plans to introduce important LEOSA amendments in the next Congress. HANSCOM AIR FORCE BASE, Mass. – More than 250 people gathered here today for a gate dedication and renaming ceremony in honor of two former members of the 66th Security Forces Squadron. What if I told you we were creating a multi-pronged approach to improving the quality of life for our Defenders? For far too long we have focused efforts on equipment, vehicles, and weapons without investing in the system that operates all of these instruments to ‘Defend the Base’. Defenders are the most important aspect of executing the defense of our installations and through Defender Performance Optimization (DPO) we are restructuring multiple efforts into a single venture to invest in our Defenders like the Air Force does a weapons system. DPO is not a program, it is a shift in our Security Forces culture. The focus is to invest early and care for Defenders, so they can reach optimal performance daily in their lives and if needed on the battle field. 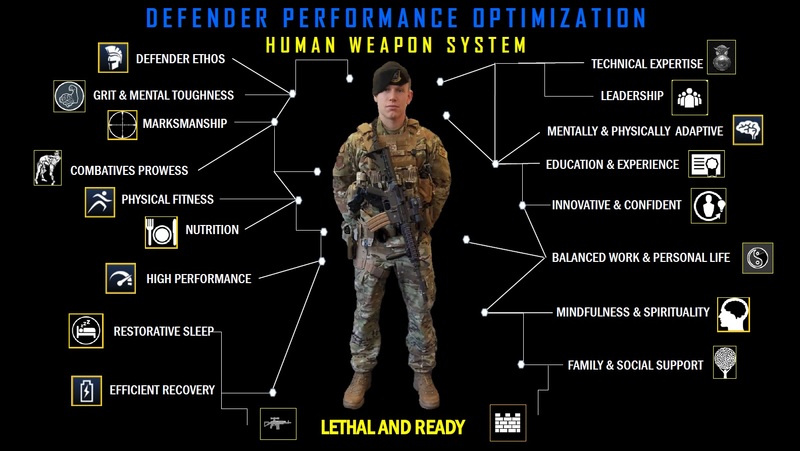 DPO utilizes optimization related research and emerging technologies to create Defenders who can thrive in a complex, high-tempo environment, as well as succeed in their personal lives. Every Defender will be introduced to the DPO culture immediately in tech training, followed by in our practices at every duty location. There will be a shift in our practices such as, at guardmount we will take time preparing our bodies for sustained wear of load bearing equipment, we will allow our Defenders to sit down and eat healthy options while posted, we will make time in the schedule for Defender based physical fitness, and we will have a predictable schedule to encourage work/life balance, just to name a few. All of this is great, but we need to share more on how we plan to achieve this optimization. As a critical component of the Reconstitute Defender Initiative, DPO is using techniques to arm Defenders with the skills and tools needed to reach optimal performance in multiple areas. I will explain a little about some of them to give you an idea of how all of these efforts are linked to each other, and demonstrate when one is not right it will influence another. Collaborating with the Air Force Exercise Science Unit, we are currently developing a physical fitness regimen designed to off-set the physical challenges associated with Security Forces daily duties. This includes exercises and stretching to create the durability to do our job without long term physical impacts. We are also changing our physical fitness assessment to correlate with our operational requirements. This ensures our physical fitness capabilities are directly linked to our ability to perform our job. Next, working with the nutritionists, we are teaching our Defenders how to care for their bodies through eating and drinking the right stuff at the right time. Our Clinical Psychologist is focusing on mind tactics and the effects of central nervous system activation to prepare Defenders mentally for how they will react, feel and cope with the life of a Defender and exposure to stressful situations. Teaming up with the medical community and researchers, another key component of DPO is maximizing sleep and restoration to ensure clarity of thought and good judgment. These and many more aspects of DPO not only help our Defenders survive, but can catapult them to thrive in our community. I have replaced my photo with a visual aid that depicts the linked tenants of DPO. Finally, our Air Force Senior Leaders recognize the need for this investment in our Defenders and have provided support, funding and commitment to making these efforts a reality. In closing, the amazing Airmen who choose to serve our great nation deserve the best possible efforts to not only make them great Defenders, but stronger and more capable Americans. As always, thank you for what you do for our country, our Air Force, and our career field. 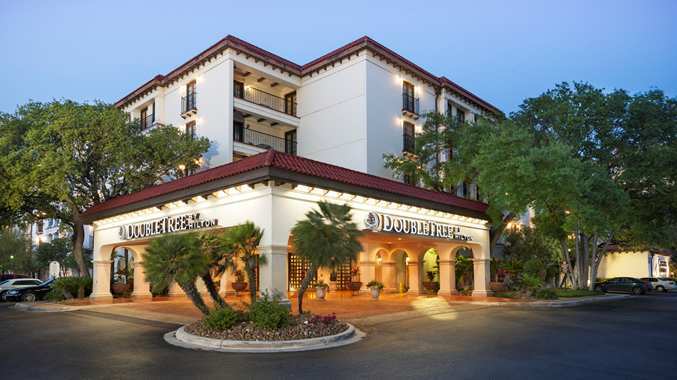 As in the recent past, we will be based at the DoubleTree by Hilton Hotel San Antonio Airport, 37 NE Loop 410 (at McCullough), San Antonio, Texas, 78216 from 25-29 September 2019. You can make reservations by calling (210) 366-2424 and be sure to identify yourself as being with the “Air Force Security” to get the meeting rate. You can also go online at: http://tinyurl.com/y5k2rov4 . The room rates are guaranteed up to 25 August 2019, after that they may not be available. The room rate is $119.00 plus tax, for single, double, triple or quad occupancy in each room and includes a full complimentary hot breakfast, free parking, free Wifi and complimentary airport shuttle service as well as service within a three-mile radius of hotel. Individuals may also book addition days up to three days before and three after the meeting dates (25-29 Sep) at that rate but you must call the reservation phone number listed. The relatively new Wednesday small batch tour on 25 September for 14-28 folks, will include a guided tour of the five San Antonio missions to include the Alamo, a patio lunch at the Institute of Texan Cultures followed by tasting room tours of three local whiskey distilleries. Thursday morning options include: the early morning golf tournament or the three, free professional security training seminars worth continuing education credits. Certificates will be provided and the seminars are free to members and Defenders in the San Antonio area. You will want to arrive Wednesday evening for either event. Members will start picking up their registration packets in the hotel lobby Thursday at 1600 and the Meet and Greet Social will start at 1800. Both Friday and Saturday morning General Membership Meetings typically run from 0800 to 1200ish hours and are open to members, spouses and guests. Following the Friday morning session there will be a tour to Camp Bullis and the Security Forces Museum and the buses will get folks back to the hotel around 1800. Friday evening and Saturday afternoon are open with no events planned. Our Annual Banquet is on Saturday evening and starts at 1800 and is full of great food and unbeatable fellowship. At 0800 on Sunday we gather and pause to remember our Fallen Defenders and then … we reluctantly say our goodbyes until the next year. Throughout most of the weekend there is a hospitality room in the hotel for all to relax in and enjoy … also known as the “war story room” and you want to make sure you don’t leave home without your coin! But just in case you did or you want to start your Christmas shopping early or you need something new for your “I love me wall” …. the AFSFA Country Store and most of the chapters will have lots of memorabilia for sale. AFSFA will mail detailed registration packets to all AFSFA members in late July. Hope to see you’all there! AFSFA Chapter Awards Program Begins! Membership is open to anyone who has served honorably in the Army Air Corps MPs, Air Police, Security Police, or is now serving in the Security Forces career field--or that component of the Air National Guard, Air Force Reserves, IMAs, or DoD police officers. As the only professional organization serving all Air Force Security Forces from all eras and wars, we have membership levels for all whose Bond of the Blue Beret runs strong. See available Memberships. When you join AFSFA, as a regular or Life member, you receive a membership card, an official challenge coin, a logo decal and a logo lapel pin. 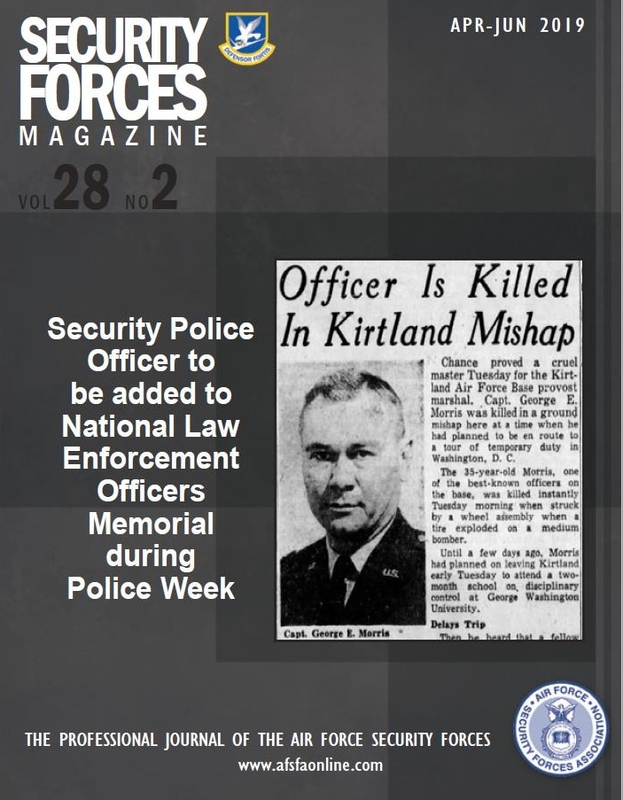 In addition you receive a subscription to Security Forces Magazine, The Professional Journal of the Security Forces that will keep you abreast of the people, events, and issues. All members are encouraged to use the website for information on current happenings and excerpts from Security Forces Magazine. All members are eligible to be full members of an AFSFA chapter. Any questions on membership should be referred to the AFSFA Headquarters at 210-277-0448 or 888-250-9876. Or, Contact Us. AFSFA is a Tax-Exempt Organization. Your AFSFA remains an income tax-exempt entity under section 501(c)(19) of the Internal Revenue Code (IRC). Your donations are made tax free.